This project developed an on-farm energy production system which uses biomass of agricultural origin. The EAFRD support aided the farmer in developing his enterprise, increasing profits, and reducing his farm’s negative impact on the environment. The project was conceived against the backdrop of the need to increase environmentally friendly practices and reduce climate change. 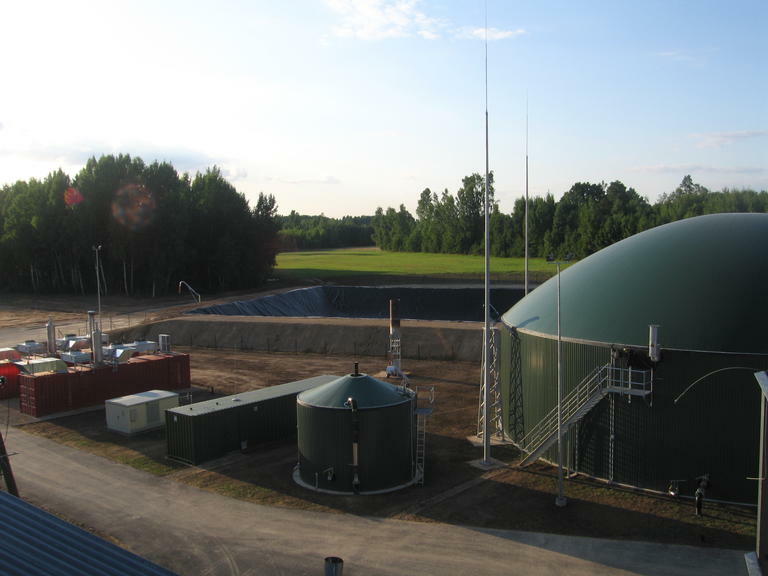 In Latvia there are real possibilities - which the project promoter recognised - for the commercialisation of bio-energy fuel production. The main objective of the project was to construct a power co-generation plant capable of producing electricity and heat from the available materials on the Jaundzelves farm, such as plant waste and other organic material. The main activities undertaken during this project, which made the production of electricity by the cogeneration plant possible were: i) the preparation of the site by levelling the ground; ii) the building of fermentation vessels; iii) the connection of the co-generation plant to the local power supply network. The project has resulted in a number of benefits for the area. i) Power generation from environmentally friendly renewable resources, which mitigate climate change; ii) Some reduction of the consumption of carbon-based fuel in Latvia and so a reduced dependence on outside suppliers; iii) The reduction of power supply risks in case of a failure of power transmission lines; iv) The rationalisation of land use; v) The creation of three new jobs in the community; vi) Positive environmental impact. The main lesson learnt is that good investment in climate friendly practices can be profitable if implemented through following a structured business plan. The profitability increase arises from more efficient energy management on farm and also through its connection to the local electricity grid.